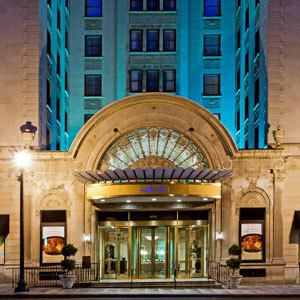 The Hamilton Hotel property located in Washington, DC features hotel bedding made by DOWNLITE. The Hamilton Hotel uses our medium weight down comforter. The specific comforter they use runs a bit skimpy for home usage - so consider upgrading to a larger down comofrter also in the medium or year round comforter weight levels. These products are available for sale to home customers. They also use our EnviroLoft medium density pillows shown below.